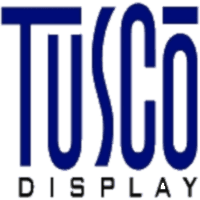 Tusco Display received the 2018 Small Business Spotlight Award at this year’s Buckeye Foundation Awards Ceremony on May 9 at the Kent State University Tuscarawas Performing Arts Center. Mike Lauber accepted on behalf of Tusco Display with several team members in attendance. “I'm honored to have accepted this award on behalf of Team Tusco. We're fortunate to have one of the finest Career Centers in the state right in our backyard. Many of our associates down through the years are BCC grads as is my daughter Alina. Buckeye Career Center (BCC) is a real gem and key economic development driver for our community,” Lauber states. Jason Baker, Vice President of Engineering is a graduate of BCC and a former Alumnus of the Year honoree. “Buckeye gave me the training that opened the door to the start of my career at Tusco. Little did I know that I would still be with Tusco 21 years later, hiring new Buckeye students myself,” Baker notes. Engineering Technician Zac Wright joined Team Tusco after graduating from Dover High School and BCC’s Computer Aided Drafting program in 2017. “The skills and education I received at Buckeye Career Center have landed me in the perfect spot to pursue my career path, and I would not be where I am today without attending. Buckeye gives students real world technical skills that will help them be employable and excel in their field of work,” Wright explains. Nineteen students from the Class of 2018 received Buckeye Foundation Scholarship Awards of $2,500 each. Belden Brick received the Large Business Spotlight Award and two Buckeye Career Center alumni were honored: Michael Goodwin and Rachel Olinger Miller.